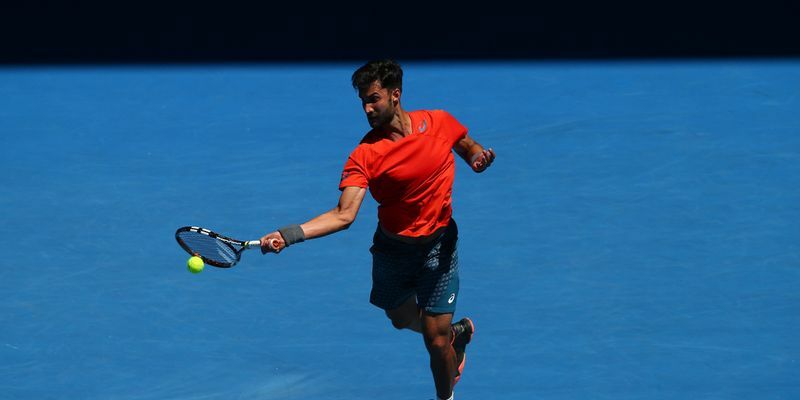 Yuki Bhambri has continued his magnificent run of form as he got the better of Mirza Basic to reach the second round of the Miami Open. The Indian ace earlier made it to his second consecutive ATP Masters 1000 main draw after beating Sweden's Elias Ymer in the second and final qualifying round. The first set was a closely fought encounter as both players stayed on serve in the first six games of the match. However, it was Bhambri who grabbed the initiative in the seventh game. The Indian earned himself a break-point at 30-40 but failed to convert it. After missing another break point, the World No. 107 ended the 16-point game to take a lead in the first set. However, the World No. 75 Bosnian didn’t stay behind for too long and he immediately made a comeback in the game by breaking the Bhambri serve in the eighth game. Just as it looked like the set was headed to a tie-breaker, the Indian came good again and broke the Bosnian for the second time in the set to take a 6-5 lead late in the set. Bhambri then took just five points to see off the first set and took a commanding lead over a player ranked 32 places above in the ATP rankings. After the exciting ending to the first set left fans breathless, the players ensured that it remained that way for the start of the second as well. Bhambri got off to a great start as he broke the Bosnian in the very first game of the set. After barely holding his serve in the next game, which lasted 12 points, the Indian had a chance to take a 3-0 lead but he missed his opportunity and was made to pay in the fourth game when Basic broke back to level proceedings. However, the 25-year-old Indian was in no mood to extend the match for too long and broke back in the very next game. As the set progressed, both players looked comfortable holding their serves until it was Basic’s turn to serve to save the match. He got off to a terrible start and found himself 40-0 down and despite saving two match points, it proved to be a point too far and Bhambri closed out the match with a 6-3 win in the second. The Indian will have his work cut out for him as he will take on eighth seed Jack Sock in the second round. The Indian can, however, take solace from the fact that he leads the head to head against the American 1-0 after his win against Sock in a Challenger event in 2013.